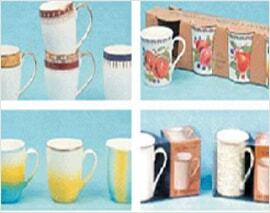 Promotional mugs comes in the various shapes and size and you can select the one best suited to your purpose. 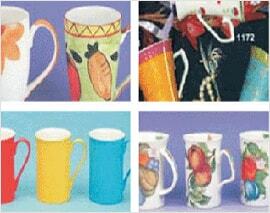 The most common is milk mug which is also used as the desk top stand to keep pen and pencils. You can select the color to suit your brand and message can be printed on it. You must take care of your printing matter while deciding the mugs as depending on the shape, size and artwork the whole experience will come alive. 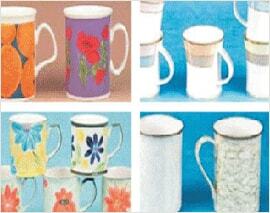 You can get mugs either as bone china which is milky or stoneware which is much heavier. You get smaller mugs for office use and even cups with saucer too for use of senior executives and their elite visitors. 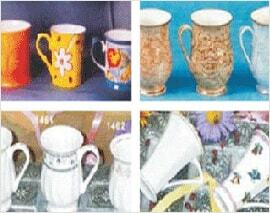 Custom Mugs are also available in plastic, steel, ceramics, glass and even crystals including travel mugs with lid. You get cup warmer too operational with usb or car charger for keeping drinks hot while travelling. All our promotional mugs can be branded and personalized with your company logo or message. They are ideal corporate gifts for promotional marketing or promotional merchandise. 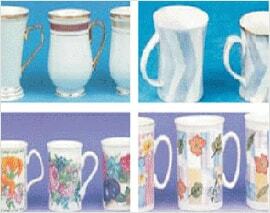 Promotional mug as advertising promotional or as custom gifts is a brilliant corporate gift idea. We offer every size and shape promotional coffee mug, travel mug and stainless steel mug to the IT hubs, Institutes, BPO and Other Blue Chip Companies. Sparket supply a quality range of promotional coffee mugs, custom coffee cups, imprinted travel mugs, photo coffee mugs with many different styles available, all are produced to the highest standards and are ideal promotional products for corporate gifts and promotional advertising. 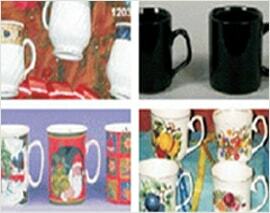 We specialized in logo coffee mugs, promotional coffee mug, custom travel mugs and printed coffee mugs. Just send us your company logo, individual's photo, title and/or name. We'll do the rest. We have done jobs for Major IT hubs, Institutes, BPO and Other Blue chip Companies. We offer every size and shape promotional coffee mug, travel mug and stainless steel mug to the IT hubs, Institutes, BPO and Other Blue Chip Companies.